Marca iltaliano lighting with prescence in Spain, has a acatalo ilminacion indoor and one outdoor, exta latter has positioned the brand on the site that is thanks to their design and quality. From the beginning, Ares offers its customers a "Truly Italian", a slogan that fully expresses the high quality, purpose of business: reliable production methods, great creativity and impressive style. Wall light "LEO 80 LED Biidireccional". Luminaire Architectural lighting and dual mount IP-65 outside. Manufactured in injected aluminum four finishes available color. Dimensions: 82 x 82 x 110mm. Two opening angles of the light beam to choose. It incorporates LED technology as a light source. Built-in electronic ballast. Three color temperatures available. 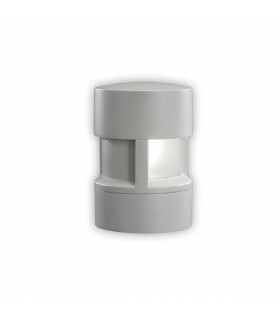 Wall light "LEO 80 LED Unidirectional". 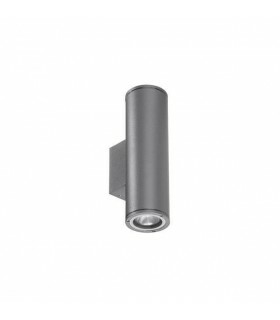 Architectural luminaire mounting IP-65 outdoor. 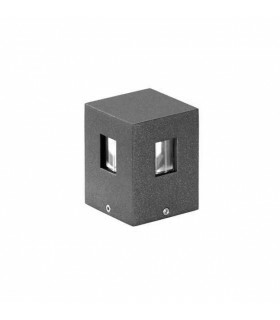 Manufactured in injected aluminum four finishes available color. Dimensions: 82 x 82 x 110mm. Two opening angles of the light beam to choose. It incorporates LED technology as a light source. Built-in electronic ballast. Three color temperatures available. Bollard "TALIA 560". Luminaire IP65 outdoor installation. Cast aluminum structure treated based phospho-chromate and coated with polyester powder paint. Opal polycarbonate diffuser stabilized UV rays. It incorporates LED technology as a light source, two powers available LED power supply incorporated. Three shades of color temperatures available. Bollard foreign "MiniSilvial" IP65. cast aluminum cylindrical structure treaty-based phospho-chromate and coated with polyester powder paint. Borosilicate glass matte finish. Emission angles 120 ° - 360 °. 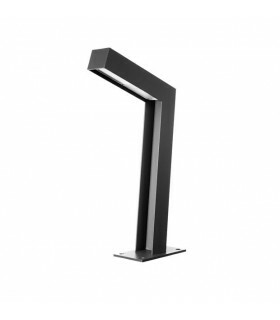 It incorporates socket compatible with halogen bulbs, low power consumption and compact fluorescents. * See our catalog of bulbs. Wall light "LEO 80 Omnidirectional". Luminaire Architectural lighting and multiple mounting IP-65 outside. Manufactured in injected aluminum four finishes available color. Dimensions: 82 x 82 x 110mm. Three opening angles of the light beam to choose. It incorporates compatible with halogen bulbs bulb Bi-Pin: Built-in electronic ballast. Wall light "EMMA Ø70". 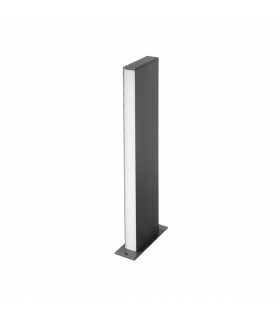 Unidirectional lamp for outdoor installation, IP65. Cylindrical design, made of die cast aluminum with phosphochromatisation treatment prior to powder coating polyester. Four color finishes available. It incorporates compatible with halogen bulb and energy-saving bulbs. Built-in electronic ballast. Bollard "TALIA 360". 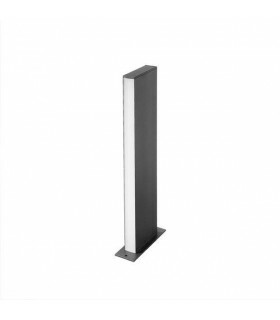 Bollard IP65 for outdoor installations. Extruded aluminum structure with phosphochromatisation treatment and polyester powder coating. Five color finishes available. Opal polycarbonate diffuser stabilized UV rays. It incorporates LED technology as a light source. LED power supply incorporated. Three color temperatures available.